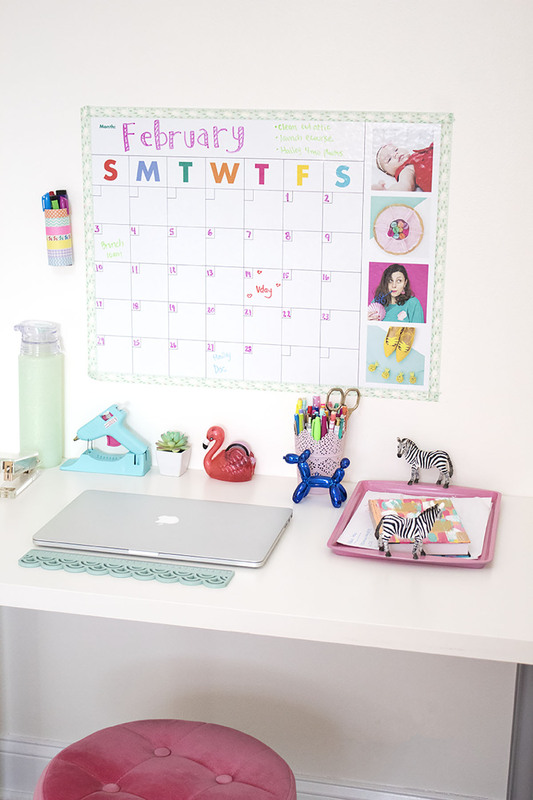 With the Colorful Dry Erase Photo Wall Decal Calendar, you can organize your days in style. The best part is that it’s reusable, so you can add notes and even ERASE them as things change! You can’t say that about the promotional paper calendar that came from your grocery store! Plus it’s got 4 spots to add your own photos. Add the items that inspire you, like your kids, pets, crafts projects, photos of your favorite dishes- the choice is all yours! Since this whiteboard attaches right to your wall (as a handy dandy sticker- no tools needed) you’ll need somewhere to keep your markers close by. So, I created this fun pen cup using just your regular ol’ toilet paper tube. Talk about trash to treasure! Trace around your toilet paper tube and add 4 tabs. This will be the base. 2. Cut out your circle and tabs. 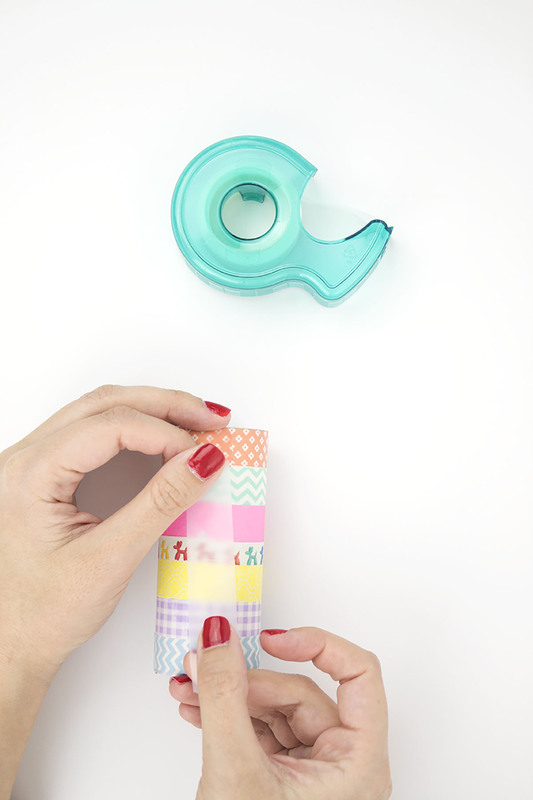 Fold up your tabs and place inside the tube to make sure it fits. 3. Remove the base, add some glue, and place back inside. The part that looks the best will be the front. 4. 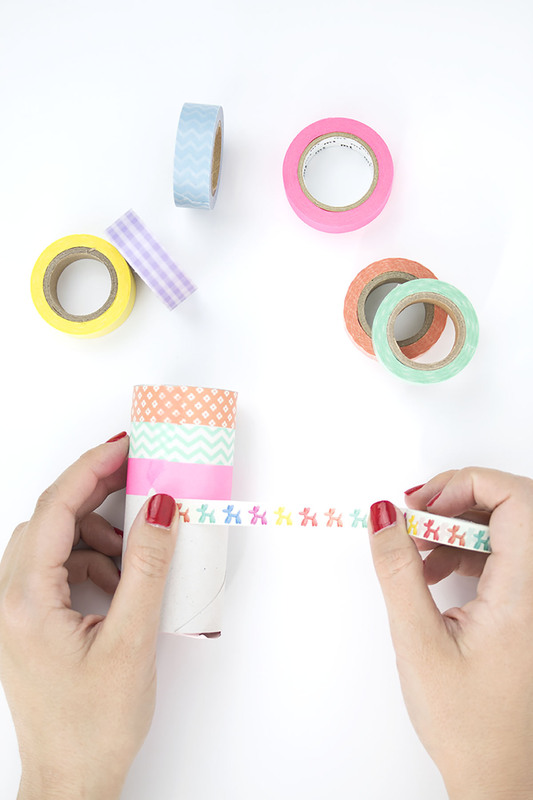 While your glue dries, line up your washi tapes in the order you want them. Make sure it fits the length of the toilet paper roll and looks nice. 5. Mark the back of your toilet paper tube, where all the tape will end and overlap. After a while, it’ll get confusing and frustrating to have to rotate it to find the front. 6. Unroll your tapes and cover the roll, line by line. You’ll want to start at the back, pull out a long piece and sweep your tape across. If you unroll as you go, it’s harder to make the line smooth and straight. 7. Place a small piece of tape at the back to secure all the edges in place. You don’t want it to unravel! 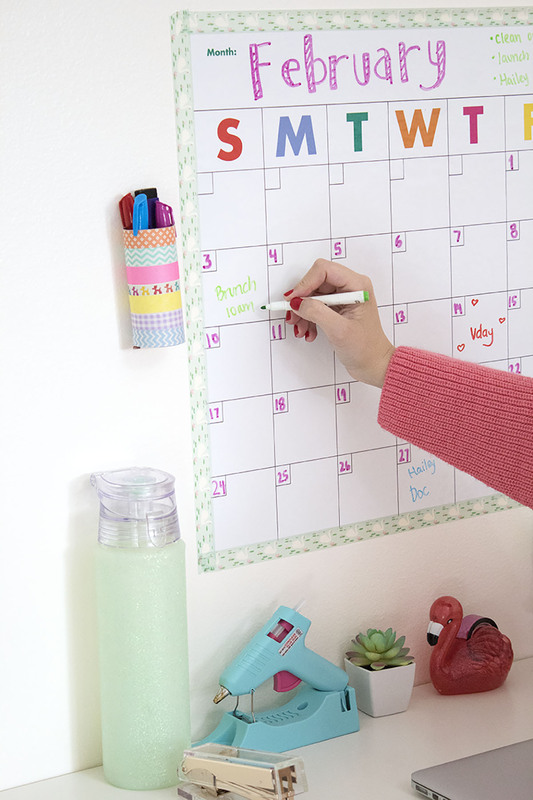 Add a command strip and adhere it to your wall next to your Colorful Dry Erase Photo Wall Decal Calendar. Add some dry erase markers and enjoy! 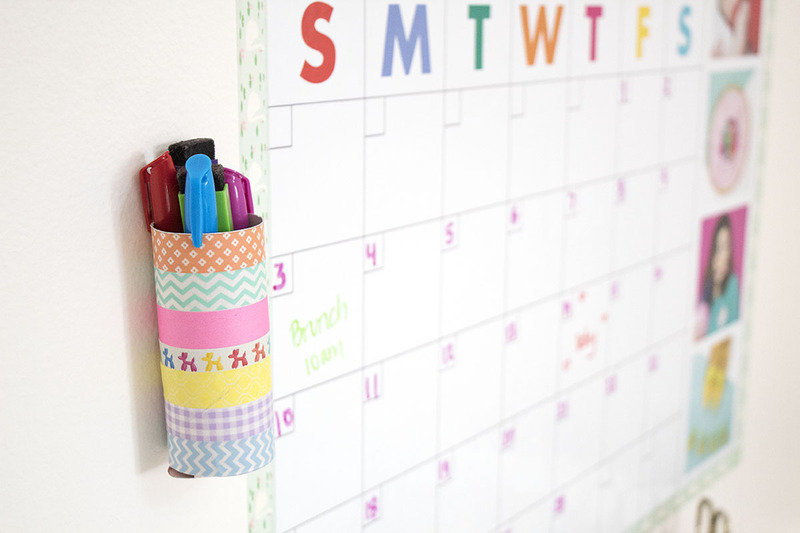 If you happen to have your calendar near your fridge (or on the side of the fridge if you use the small one ) you can always glue a magnet to the back of the pen cup to attach it to the fridge. 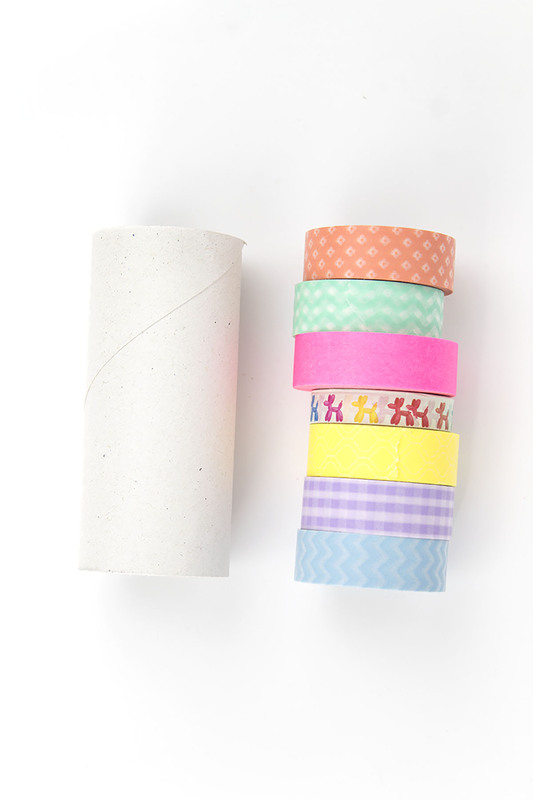 And, if you want to protect your wall from the dry erase markers, add a border of thick washi tape. 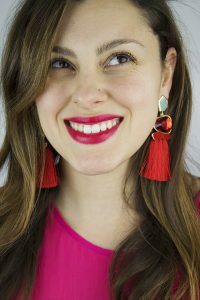 Cute and functional! 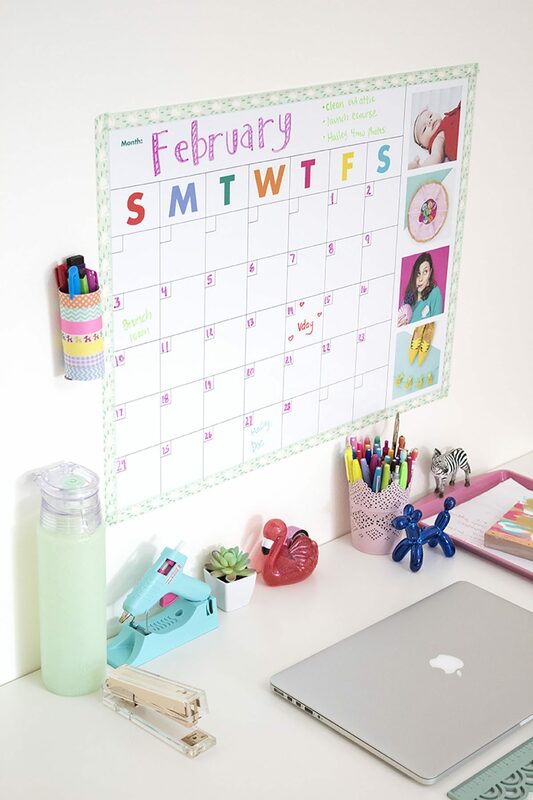 Be sure to head on over to customize and order your Colorful Dry Erase Photo Wall Decal Calendar and get your year back on track!